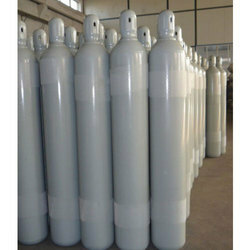 We are the manufacturer of Commercial Grade Argon. The most common source of argon is an air separation plant. Air contain appox 0.93%(vol) argon. It is one of most common carrier gases in gas chromatography. argon is used as a carrier gas in sputtering plasma etching and ion implantations and a blanket atmosphere in crystal growth. It is also the choice gas for ICP SpectroScopy. It is used in atomic absorption spectrometry as a blanket gas in the graphite furnace.